I found myself at a point where life got so hectic, I needed a break to analyze and refocus. I examined my schedule and daily habits to clean house, so to speak. I was allowing old tendencies to creep back in; it became time to shut them down…to prioritize and let the rest fall by the wayside. I’m happy to report this helped me remember my why. And I’ve realigned myself in an effort to move forward. So here’s the thing, the holidays used to kill me. I mean I used to work frantically from the moment my feet hit the floor until I collapsed into bed every. darn. midnight. 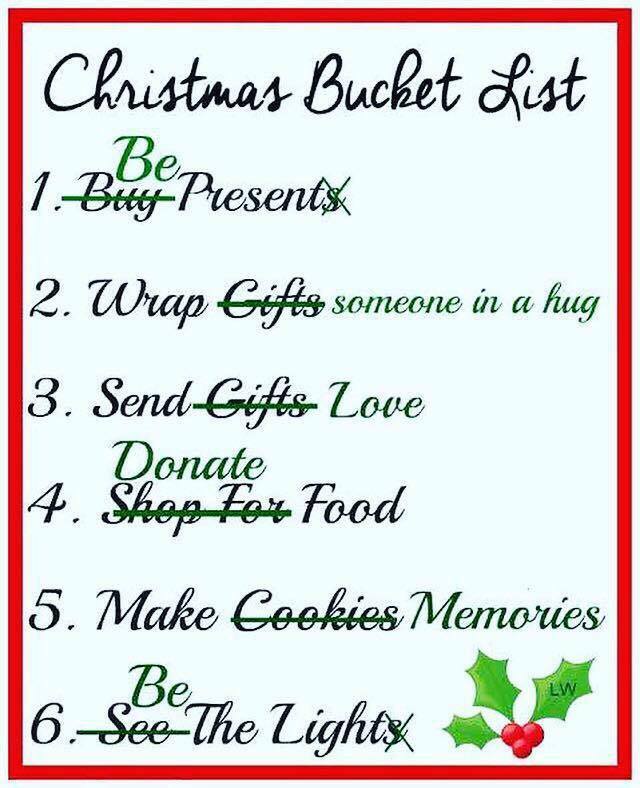 of December to make Christmas everything I thought it was supposed to be for my husband and kids. It robbed me of my health and joy. I’ve worked the past several years to recreate my expectations…to get what I want out of the holidays instead of doing what I think others think I should. Boy, am I done with that! 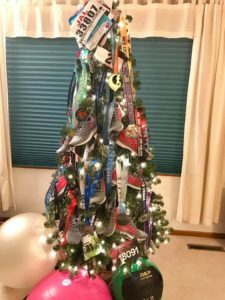 I stuffed several pairs of my running shoes in the prelit tree and hung my race medals from the year…took me 10 minutes tops! 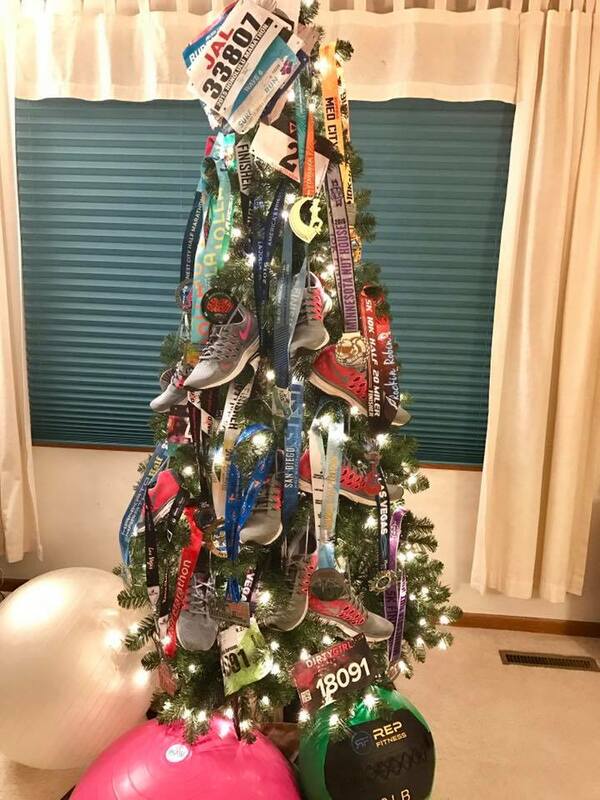 But it soon fell over from the heaviness of the medals so we enjoyed a bare naked tree. No one objected! I didn’t even send out my usual 100 Christmas cards, and do you know what? Not one single person mentioned that they missed it. 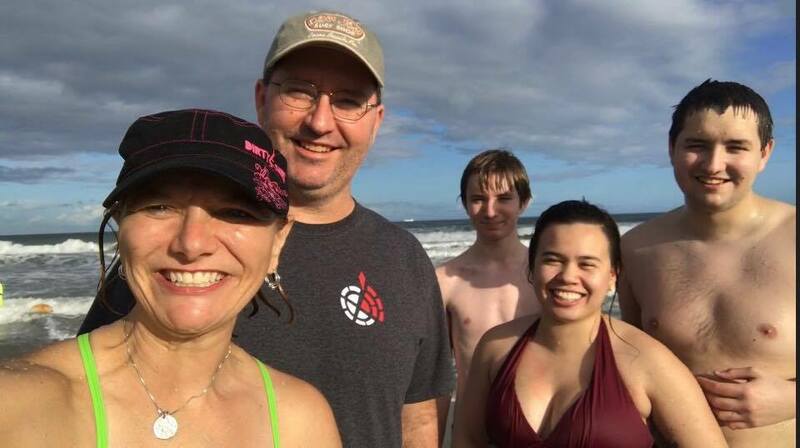 As December flew past, we suddenly found ourselves on Cocoa Beach Christmas morning…no guilt laden cookies and candy, no shredded gift wrap, piles of gifts we didn’t need…simply spending the day together this way was the best gift of all time! 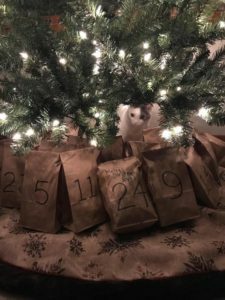 I did a simple “Advent calendar” with goodies for my teenager, but I promise you, I didn’t stress! Those days are OVER! I’m done with the even higher high blood pressure, stress-induced, mindless emotional eating, panic attack trip to the ER, sleep deprivation to sew matching jammies for everyone, chronic crabbiness, yada, yada, yada. None of it served me or my family. 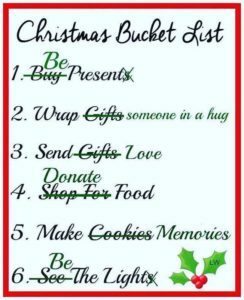 So while the general population is spending December stressing themselves to a frenzy, forgetting what it’s all truly about…I will be working on the above bucket list. I’ll be enjoying my family. I’ll be at the gym continuing to work toward better health and simply breathing. 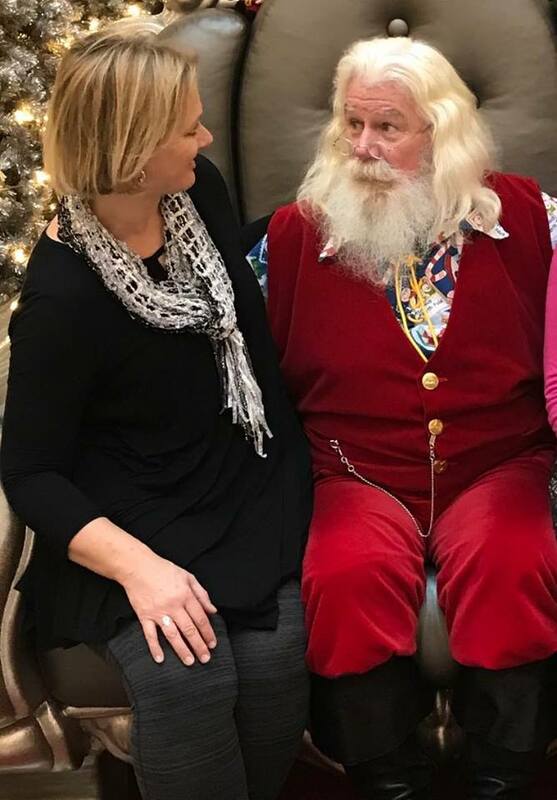 Santa could learn a thing or two. I spoke frankly with him this week. Since I won’t be baking, he may have to settle for a yogurt at my house on Christmas Eve. 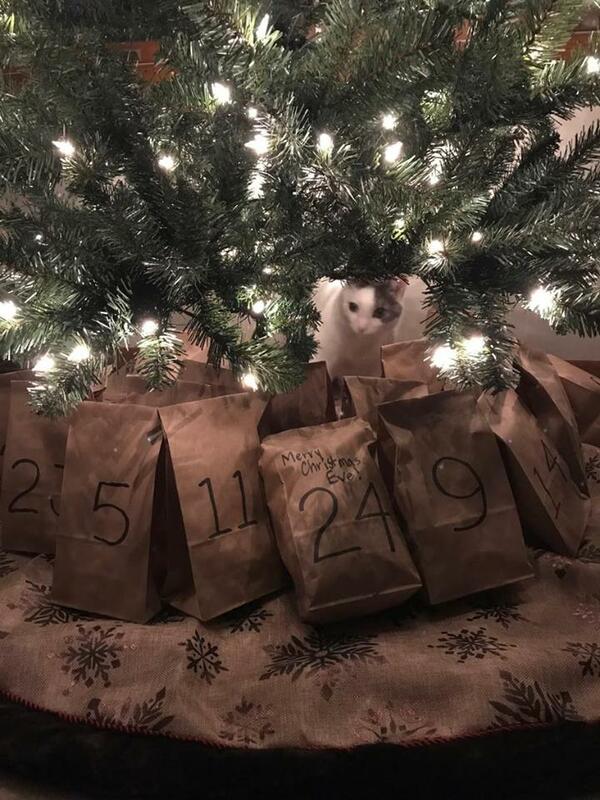 He doesn’t look too excited, does he? Ho Ho Ho? Well, Ha Ha Ha!! !